Jeffrey Gamby-Boulger looks critically at Newcastle’s repeated failings in recent years and why Mike Ashley is the root of those problems. ‘It’s the same old story. There is not much of a difference from last year’’. The man who uttered these words is not a football man. He is not even a sporting man. It was not someone connected to Newcastle United, or someone rooted in the mystique and charm of Tyneside. This quote is from Dr. Andy Xie, a well-known Shanghai-based independent economist. Ironic then, that a man so skilled in the field of finance may be able to deliver a line that can so perfectly surmise the debilitating impasse that has ravaged the very heart of one of England’s finest clubs. A club where financial outlay has triumphed over sporting ambition time and time again, and whose ugly head has reared itself once more. While the team itself may have finally recorded an away win in the Premier League for the first time in 21 months, since 2015 and at the 13th time of asking with a 1-0 victory over Swansea in their latest fixture, the gloss of such a performance does not mask the failings of the farcical few weeks and months that preceded it. Anyone associated with Newcastle over the last decade will have quietly thought that famous quote to themselves, muttered it in disbelief and openly raged it to the heavens. It is a damning indictment of what has often been a painful, bewildering, occasionally uplifting but all too often disheartening period for what remains of such a great footballing institution. Its relevance in describing the glorious untapped potential of the Tyneside giants is matched only by its irony. Newcastle’s modus operandi in the last decade under Mike Ashley’s exasperating reign has been focused almost obsessively on financial prudence, with the balance sheets in order, but a team short of quality, a club adrift of any ambition and long-term vision whatsoever, and a boardroom dangerously lacking in any sense of footballing nous or experience. It is a sporting triumvirate that cannot function or ever hope to bring sustained success and consistency. And in Newcastle’s case, it’s been brutally exposed on more than one occasion. The failings at St. James Park have been well documented as they lurch from one ludicrous crisis and self-inflicted embarrassment to the next. The path into the national headlines for one calamity or another is a well-worn route for a club that boasts so much pedigree, importance and history within the Premier League. The two are intertwined and inescapably linked. And yet, it seems there are those within the bowels of the notoriously secretive club, where only whispers and ghosts exist to the outside world, whose only objective is to deliberately sever that connection with a mixture of brutal efficiency, crass brinkmanship and downright mis-management. For those who genuinely care about the club, it is nothing short of heart-breaking. Unfulfilled potential, sleeping giants, amazing stadium and iconic supporters are just some of the metaphors and labels annually attributed to the North East giants. Sound familiar? It should be. They get endlessly reworded and recycled over and over by lazy journalists and saturated punditry. Every season, year after year. And yet with every new season, with every new transfer window, a faint sliver of hope is allowed to emerge: that things will change, things will get better and the club will have finally learnt from previous mistakes. Sadly, it never lasts and the crushing inevitability of another case of déjà vu comes crashing down again and again on Tyneside. Ultimately, the real victims in this perpetual state of optimism and despair are the fans; the ones who truly feel the heartbeat of the club and understand the real catastrophe playing out in the North East. They are acutely aware of the desecration of one of English football’s most iconic clubs better than anyone. Newcastle United is a club like very few. It is connected intravenously to the city, the life blood and source of so much passion, excitement and charm for all the wonderful people who live there. It is the Cathedral on the Hill that captivates the region like a metronome. Despite the constant disappointments, despite the heads of 52,000 fans furiously battling with their inner logic to turn around and ignore the ruses, despite the gut-wrenching acknowledgement buried deep down in their hearts that the better times will never come under the current regime, their support remains unconditional. Mike Ashley has mishandled and taken advantage of that fact. Again, and again, and again. It’s not only the loyal fans suffering because of his bullish high-stakes gambling, as he continues to risk his side’s Premier League prosperity for a few frugal deals to keep money in the bank. He has also let down the one person who can still thrust the club back to some semblance of success and dignity- Rafa Benitez. Ashley has renegaded on his promises, and more importantly, his duty as the owner of not only an iconic and historical English club, but of a top flight, professional Premier League Football club. A football club that whether you like it or not is also a business. A cash straddling beast, striving for its share of the Premier League treasure trove. A commercial donkey for Ashley’s ever prominent Sports Direct love affair. But this realisation simply brings the owner’s professional and personal failings even more sharply into focus. He isn’t striving for more. He isn’t pushing for success. He is contemplating mediocrity. That becomes more and more apparent again and again, and its destroying the soul of a club capable of so much more. How can such a savvy and successful businessman make so many errors and so greatly stunt the progress of such a financially commercial enterprise? After all, even a moderately successful Premier League football club is endowed with riches that other enterprises could only dream of. Is he consciously preventing success on Tyneside? Is he simply staying resolute in his desire to make a profit on the team he bought without due diligence all those years ago, ensuring money remains in the bank and not on the pitch? What logic can there be in mismanaging a team capable of so much more? Planning long-term will save money in the short-term. Injecting much needed funds into a playing squad that is starved of genuine top-class ability would reap benefits in the future: the squad is strengthened, the chances of finishing higher in the table are increased, more revenue can be gleamed from their league position and the club becomes more successful and more valuable. Of course, it must be noted that financial output is by no means a marker for guaranteed success, but the two are strategically linked nevertheless and one cannot hope to benefit long-term by feeding off excruciatingly prudent acquisitions and beneficial loan deals. Sometimes, one must pay for quality instead of hoping it will simply fall onto your lap. Especially in an industry as explosively unrealistic in financial terms as top flight football, the risks of not spending enough to at least hang onto the coattails of the competition are stark and there for all to see. Keep-up with the competition financially, overtake them, or surrender and take three steps behind. All too often Newcastle have threatened to act decisively, an opportunity to push on emerged, only for it to be scuppered by the financial purse strings being tightened inexplicably, and the rug well and truly pulled from underneath the latest managerial incumbent on Tyneside. And that’s exactly why Newcastle’s latest financial episode is so ominous. They aren’t just in the Premier League to make up the numbers, or newcomers to the big time. They have genuine pedigree. They had momentum after successfully navigating their way back up through the Championship. They somehow, incredibly, amazingly, managed to attract Rafa Benitez to guide them forward, one of the most respected, successful and iconic managers in the game. And yet this is where the familiar failings begin again, and the euphoria of the recent triumphs that threatened to finally steer the club into better times faded away. If now was not the time to show some much needed ambition and financial dexterity, when will they ever? This was exactly the time to make a statement, exactly the time to cement their top-flight status for years to come by being bold, strategic and swift in the transfer window. This was the moment to back Benitez in doing what he does best; give him the project he so craves and the resources to enact his vision of returning Newcastle to any semblance of its former glory. The players who helped secure the Championship title but were now surplus to requirements needed to be sold. New blood needed to be brought in, more quality was needed to ensure survival and then push on. But with a net spend of just £12 million, Benitez was not alone in feeling the frustrations of another opportunity missed on Tyneside. Players deemed surplus sat on inflated contracts, and those that did finally depart only saw movement in the final hours and days of the window. Deals for Florian Lejeune and Mikel Merino took weeks of painstaking negotiations to be completed, with every financial drop being wringed in Newcastle’s favour. 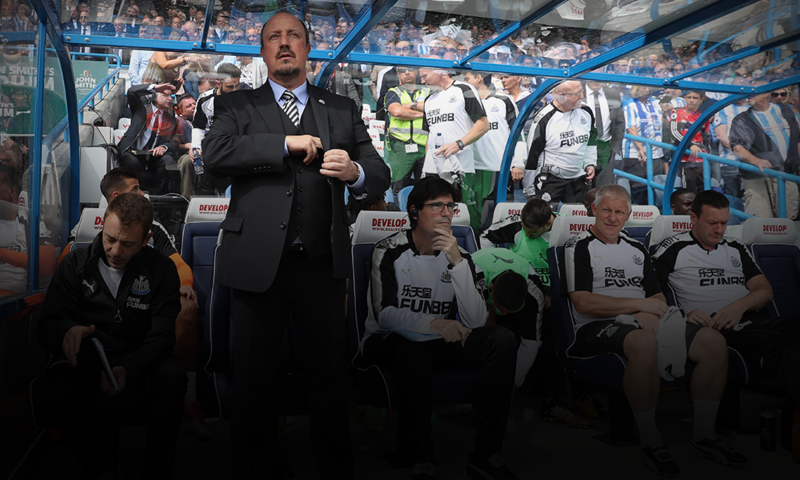 Benitez was open in his plight, buying who he could, but not necessarily who he wanted. He desperately craved cover at full back. None came, leaving Newcastle inexcusably short in defence amid key injuries in the first weeks of the season. A playmaker was also sought to provide the team with the nous they lack to unlock stubborn defences of Premier League quality. Jonjo Shelvey, the team’s usual creative hub, showcased his perennial disciplinary issues with a red card in the opening game of the season, cementing the opinion that he cannot be relied upon alone. Again, none came, although it must be noted that young Spaniard Merino has begun to catch the eye in midfield and has the potential to flourish. He could yet prove a masterstroke. And top of Rafa’s wish list all summer was an out and out goal scorer- someone to provide the firepower necessary to give Newcastle enough thrust to survive this season. Rumours were ripe of fanciful loan deals and ambitious coups but the reality is that only Stoke’s Spanish striker Joselu was signed. A potentially solid player who will provide Newcastle with options, who has made a promising start to the season in fairness, but not the kind of quality that Benitez was hoping for when the dust and confetti had settled after the celebrations of their Championship title win. Rafa had spent the summer carefully identifying the targets he felt would push Newcastle forward, outlining his vision for the club so he had a long-term prospect to present to Mike Ashley, and was confident that he had the owner’s backing. And when Ashley infamously vowed Rafa ‘can have every last penny that the club generates through promotion, player sales and other means in order to build for next season’, things finally looked to be changing on Tyneside. Rafa was in charge, there was money to spend. Their time had come. Alas, as has been the case so many times before, expectations were raised but ultimately not realised. Justin Barnes, a close ally of Mike Ashley and a man described as a ‘fixer’ in the business world, was brought in and by coincidence or not, progress stalled, signings slowed and frustration festered. Rumours grew that he was preparing the club for foreign investment, but a mooted takeover came and went, and the immediate short-term impact was unhelpful at a time when unison, clarity and decisive actions were required. This was not what was agreed and concerns grew about Benitez, a proud and successful man who is not to be taken for a fool. Newcastle have been lucky to secure his services and should be evidently more grateful of that than they appear to be. Failure to work quickly and do four deals he wanted early annoyed Benitez. A squad built for the Championship wasn’t dismantled quickly enough, nor the wage bill- £97m at one point- reduced to an acceptable level. Around £40m got spent on six new faces. Solid signings with potential arrived, but guaranteed star quality didn’t’. It is a shameful and inexcusable position for such a club to find themselves in. Strategies appear misaligned, visions are not shared, promises are not being kept and that is all filtering down from the top levels. So one must ask themselves, what is the end goal for Newcastle? The opportunity to progress was now. They have the right manager for the first time in a decade. Money has never been more plentiful in the Premier League. A statement needed to be made, and it wasn’t. For fans of the famous club, it’s a damning and embarrassing, as well as frustrating, state of déjà vu that has reared its ugly head at the worst possible time. But despite this, perhaps there is still a glimmer of hope on Tyneside. Buried in the rubble of more broken promises, hidden in the murk of Chinese whispers, the rumours and rumblings of potential takeovers gently simmering in the North East are not going away. Owner Mike Ashley won’t put any extra of his own money in, and wants to sell up. It suits him to have the accounts looking healthy for a prospective buyer- cash in the bank, rather than in the pitch. Benitez has been frustrated since mid-June, pondering whether to walk out, unhappy at the bracket of players he’s been shopping in, and saying so’. And while that last line will not make pleasant reading for anyone connected to Newcastle, it offers at least partial explanation for the frustration that has unfolded on Tyneside this summer. What’s more, with news breaking that Premier League clubs have voted 14 out of 20 in favour to revamp the summer transfer window, putting an end to the financial and sporting farce that has engulfed the beginning of Premier League seasons for many a year, it could offer hope for the future of Newcastle along with the whispers of potential takeovers. They have been woefully exposed for their failings, and Benitez has openly implied their transfer negotiating style and strategies weren’t “ready for the Premier League”. But a shortened summer window will enforce changes to their modus operandi, and their mandates will have to change to suit. It could force the club to change for the better. If Rafa is still here to oversee these changes, it could bring marked improvement. United have been financially prudent in the extreme in the past, the epitome of ‘trying to get a good deal’. 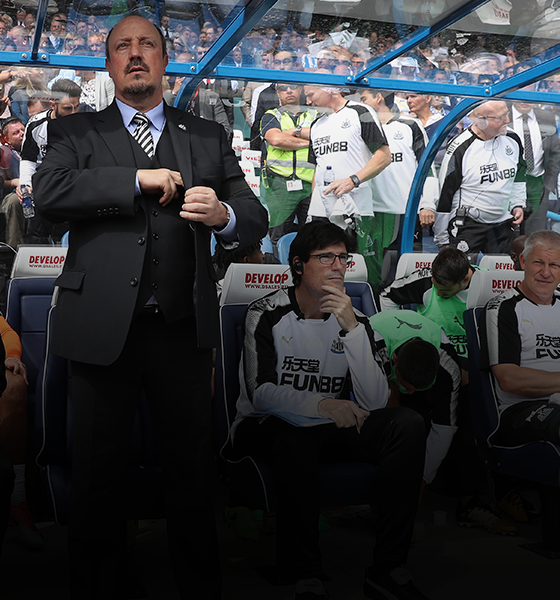 Benitez’s first summer was, unfortunately for their stoic fans, an exception. Newcastle in general take far, far too long to complete what should be routine deals for a proficient Premier League team. They are infamous for routinely attempting to wring every last drop of value from any deal they undertake. However, with a shortened window they will have to compromise, and decide what is their priority with three fewer weeks available to them. Either their almost obsessive desire to complete a deal to its maximum value, or to complete their dealings with enough time to spare so they can actually enact their vision to successfully augment their squad and complete all the deals that have been identified. Newcastle are unique in that they don’t have a routinely fixed vision, or at least, whatever vision they have is never backed hard enough to materialise. Every transfer window is an opportunity to invest in a playing squad that needs perpetual reinvestment, because every opportunity that preceded it was never taken, to amend the glaring fallings or shortcomings of a squad built on shrewd investments and bargain buys- all because of thriftiness from the board. It is a continuous cycle and undue attention to this fact takes focus away from the other needs of the club, such as the ineffective academy and abandoned proposals to renovate the training ground complex. United have suffered with a recent high turnover of three different managers, meaning any collective vision for the team has been consistently shattered prematurely and hastily recovered so many times. Benitez was the cure for the ailment, the opportunity to put things right and lay the foundations for years to come. In some areas he has succeeded, in others he is still battling. But without support from those at the top of the club, there can be no hope of a better future. Six points from four games is a respectable start to the campaign, but does not paper over the cracks. Many will fear Rafa’s journey is over before it has even started with the Spaniard already feeling undermined and mistreated by Ashley, one of football’s most serial repeat offenders. One word of warning for Newcastle: on 4th September 2008, Kevin Keegan- the messiah on Tyneside who returned to try and rekindle the magic of the Cathedral on the Hill, resigned over disagreements with the club hierarchy about transfer policy. Ominously, almost ten years later, a nauseous sense of déjà vu is once again threatening to engulf a club that has always held the potential to grace the Premier League, but is so often thwarted by the very people who should cherish the opportunity they have to guide the club forward. Newcastle’s feverish and devoted fans are routinely left with a club that only displays any sense of sporting integrity or foresight when relegation beckons, and an owner who seems to genuinely, and naively, believe he is smarter than anyone else, and routinely makes the mistake of showing a complete lack of remorse for renegading on every opportunity and sporting duty he possesses. When Kevin Keegan walked away for the second and final time, he famously stated that his beloved Newcastle was now a club that simply ‘wasn’t like the brochure promised’. Frustratingly, this has become all too familiar for Newcastle’s long-suffering fans, who have experienced this charade all before and will desperately hope current events, and their current messiah, do not tread the same path. Mike Ashley should read the warning signs in his crazed game of brinkmanship. Fail again, and you will move one step closer to killing the sleeping giant that so many have worked so hard to awaken. Rafa Benitez is the best opportunity there will ever be to fulfil even a slither of Newcastle’s great potential. Does owner Mike Ashley really expect a young side, giving everything at the moment, to survive the season in the Premier League with the resources he has given them? If he does then he is living in cloud cuckoo land. Ashley needs to get his hand in his pocket and invest properly in a team the city of Newcastle deserve. They have a great manager, an amazing set of fans and a team clearly proud to wear the shirt. Benitez has brought some wonderful young talent through and made players out of them. Players like Matt Ritchie and Lascelles have developed brilliantly under the watchful eye of the Spaniard and they deserve more support and their manager the finances to enable him to give the team a real chance of survival. It’s the least Ashley can do. If not, he should sell the club and let someone else do it’. Increasingly, the stakes are as high as they have ever been for Newcastle. Despite a reasonable start to the new season on the surface, under it tension festers and any fallout would reverberate for years should the same mistakes continue and the club inexplicably succeeds in pushing Rafa away. Under Benitez, Mike Ashley has an incredible opportunity to make Newcastle a genuine Premier League force again, but the jury is still out on whether the Englishman will acquiesce to that proposition. There are growing shoots of optimism following the 1-0 win at Swansea that despite their lacklustre approach in the summer, there is the basis of a solid team emerging. Rafa deserves enormous credit for that. Maybe, just maybe, this isn’t the same as every other year. By some miracle, perhaps Rafa can achieve something. With the support of the fans, the love of the city, the heart of the players, and with or without the financial muscle of the owner. But the worry is Newcastle have been here so, so many times before. Only time will tell if the future for Newcastle really is destined for anything different. All eyes are on Tyneside waiting for what happens next.